In a nutshell, Cactus Politics is your source for sharp analysis and biting commentary on anyone and anything that comprises Arizona Politics- federal, state, and local. Cactus Politics isn’t just another political news aggregator. We review the political news from throughout the state of Arizona from every source possible- as well as the national stories pertaining to Arizona- sort through all of this news and commentary, and pick out those items and articles that we believe are in dire need of our incisive incisors. Sometimes we’ll simply highlight a news item that we’d like to bring to your attention. Whether the story or article in question is a victim of the proverbial Friday News Dump, has had important details or perspectives omitted, or has been spun so violently that triage is needed – we’re there to provide first aid in the form of edgy analysis that’s sure to inform, entertain, and provoke. We here at “The Cactus” also churn out a good helping of our own original content, as we comment and editorialize on or about the state’s most compelling politicians, movers & shakers, and issues. We’ll also be breaking news, doing investigative reporting, and keeping everyone honest on both sides of the aisle. Managing editor, Javier Manjarres, is a first generation American and credits his conservative political philosophy to his parents who legally immigrated to the United States from Colombia and raised him with strict conservative values. As the managing editor of Cactus Politics, Manjarres was awarded the 2011 CPAC Blogger of the Year award and was acknowledged by the conservative activist group FreedomWorks for his efforts during the 2010 election cycle. Numerous videos and articles from the Cactus Politics have been featured on Fox News, The Hill, Wall Street Journal, CNN, NBC, and other national and local news stations. 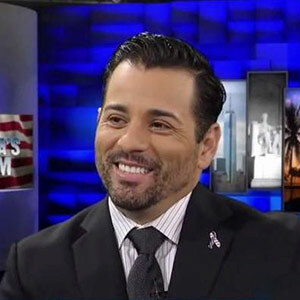 Manjarres has appeared as a guest commentator on Univision’s “Al Punto” and numerous radio shows, including being the Florida and National Correspondent for 92.5 Fox News, DayBreak with Drew Steele, TheBlaze TV’s Dana Show, and a regular political contributor for NewsmaxTV, communicating his strong belief in the America Dream along with his unwavering conservative principles. Manjarres is also the author of “BROWN PEOPLE,” a book about Hispanic Politics. Read more at brownpeople.org. Joel Andres Frewa, a veteran of the United States Army, an immigrant from Venezuela, and the former communications director for a major conservative organization, Joel Andres Frewa brings his passion for politics and international affairs to Cactus Politics. Over 20 years removed from his native land of Venezuela, Frewa continues to advocate for freedom and liberty in Venezuela and in the United States. Joel Andres is a graduate of the U.S. Army’s Combat Medic School, and Florida International University. Throughout his career Joel has worked on issues of national and international importance such as Human Rights abuses in Latin America to Immigration reform and Veteran’s issues. Thank you for visiting Cactus Politics – Welcome to Arizona’s Political Feeding Frenzy.